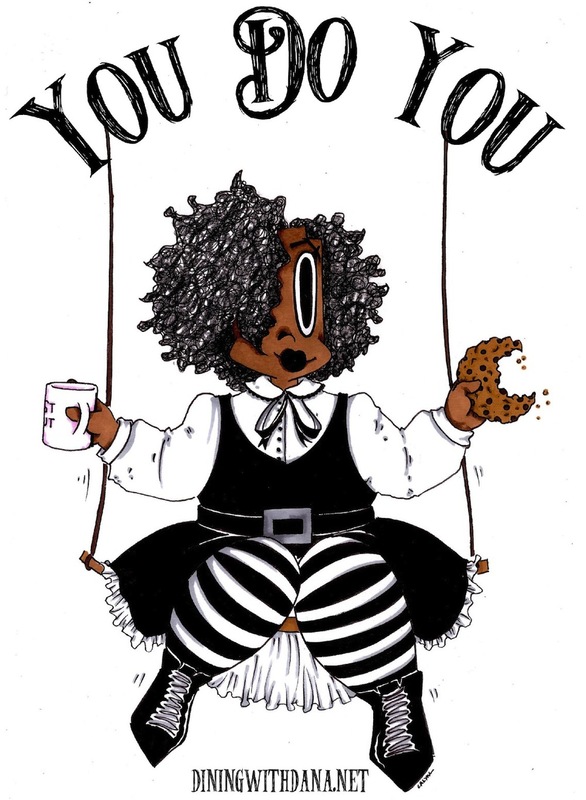 Dining with Dana is online cartoon and resource for Alternative Black Girls. Through words, taste, sound, and movement, Dana aims to represent the underrepresented. She gives advice to her readers and opens discussions on alternative culture. Remember this: there is no such thing as being “black enough.” That is the world’s biggest myth next to Diet Coke. I invite you to take a look at these 70s-90s goths and punks of color as well as the Afropunk movement. Your best bet is to tell your parents that their words hurt. Try a genuine approach without anger or frustration. Calmly tell your dad, “It really upsets me when you say that, it brings down my confidence,” every time he makes such comments. Your parents probably don’t understand your lifestyle and may even be under societal pressure. If you are doing no harm (to anyone else or yourself), then they should be happy for you. His only concern is my lack of interest in alternative science. Your parents also need to understand that there are multiple facets to black culture. And when I say multiple, I mean billions. Just take a look at the confusion Kenyan goths face or the solidarity metalheads of Botswana have constructed for themselves. Historically speaking, the Herero people began incorporating Victorian fashion into their traditional wardrobe to protest against German occupants. In the end of the day, what really matters is that you do not bend to pressure and pursue your own interests. Remember that if your parents still do not understand, you are an independent being. Find your own voice, express yourself. This was far from being the first time I had gotten questions concerning the “Community vs. Me” scenario. To reiterate the earlier, the black community is a multifaceted mix of minds. While blackness may very well be a state of mind, I do feel the need to underscore that a certain degree of melanin historically traceable to continental Africa is required. That said, blackness is otherwise unlimited. Only you can define your identity. Take me, for example, my own identity is two dimensional. Not much is more alternative than that. Take a look at the media you consume. What music do you listen to? Which movies do you watch? Which authors do you read? Then check out your circle (a.k.a. family, friends, classmates, coworkers, etc.). While it's completely normal to allow some influences, if they control your tastes—be it directly or through snide comments, nasty looks, eye rolling, and other non-computerized human signals—then it's time to take a step back. Drop what you don't like to pick up what you do. If you can't stand their tastes, create your own. Once you accept that you can change, you will have a better understanding of who you are. Be open to the new. As long as it's authentic. As long as it's true to you. Life likes surprises. Like chocolate covered cherries with an extra side of pits. New interests, relationships, ideas... It's not all set in stone. We are all subject to change. The key is to embrace those changes. Be careful not to throw yourself away in the quest for your “uniqueness.” Explore the depths of you. Find those historical elements within, with which you identify. Learn about them. It's okay to allow yourself time to grow into your own. Rather than repress it, express it. Now, let's dip this in a little Descartes, shall we? According to him, I think therefore I am. As he developed in his Meditations on First Philosophy, we doubt, therefore we think, so that we may then one day be. Sprinkle that with a bit of Shakespearean question on being, and you could land yourself center stage. For more links for the Alternative Black Girl, check out this list. And for more Fat Bat thoughts, check out Dining with Dana! Dana lives in a tower with her six-limbed mad scientist dad, Dr. Dillipede. She spends her days reading, cooking and arguing about music with her politically correct pet punk, Dean. She is one of many characters within Dill’s world. Calyn Pickens Rich (a.k.a. Dr. Calyn) is an Artist, Mad Doctor and Technical Captain. An Ormes Society creator, she holds the pen that inks Dill comics, about a flat kid with existential issues and a lemon stand. For more cartoon correspondence, e-mail Dana at fatbatdana@gmail.com.